Motorcycle accidents are, undoubtedly, concerning. That is because riders are not protected by a carcass in a collision. Depending on how serious the crash may be, the consequences can be life-threatening. As personal injury attorneys in Seattle, we have seen countless motorcycle accidents. We have also helped countless victims. We understand the challenges victims and their loved ones experience. We also know the dangers that they will face in their quest for justice. If you are a motorcycle rider and you’re not familiar with all the possible ways that you may become involved in a crash, we have put together a list of possible factors. Pay attention to this list because knowing the risks in advance will help you to act accordingly so that you do not suffer in the future. 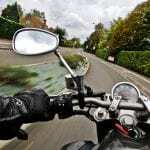 There are many factors that will lead to motorcycle accidents. Some of them are easy to prevent. Both drivers and riders have responsibility over their vehicles. But drivers are often to blame for many crashes. Here are some of the most common causes of motorcycle crashes. Both drivers and riders do this. But drivers are more likely to change lanes without looking. Check your blind spot before changing lanes to avoid a motorcycle crash. Drivers sometimes are distracted while behind the wheel. And they will remain distracted after stopping. To avoid accidents, drivers must look in their rear view mirror and check the road before opening their doors. Riders must also stay alert when driving by parked cars. Riders like the thrill of going fast. We understand that. But we also know that the behavior isn’t necessarily sound. Speeding will lead to crashes whether you’re a driver or a rider. Drivers and riders may follow too closely at times. If the traffic slows down or stops unexpectedly, a crash will take place. In some states, the practice is legal. Still, lane-splitting, or riding between two lanes, is dangerous under some circumstances. Especially to riders without a lot of experience. Whether the weather, an accident, or construction debris are to blame, dangerous road conditions will make accidents more likely. Believe it or not, drivers make too many distance misjudgments. As a result, collisions with riders occur frequently. These errors must be mitigated with better practice and traffic education. This is also a common factor in many car accidents. Driving under the influence may put the driver at risk of facing both civil and criminal liability. Recalls have never been as common as now. With more technological advancements, this trend will continue. Defective vehicles are more likely to put lives at risk. Veteran drivers are more likely to know that they must keep an eye out on the road to avoid accidents. But inexperienced drivers are not. Unless they go through defensive driving classes. Riders who are injured in motorcycle accidents can experience an array of wounds. Many of which can be life-threatening. Because medical treatment related to these accidents can be costly, riders who are subject to crashes because a third party was negligent should never have to face insurance companies on their own. If you or a loved one has been the victim of a motorcycle accident, we encourage you to contact our office and request a free evaluation of your case. Accidents are all different, therefore accidents need a careful and meticulous review from a team that will do all in its power to fight for your rights. Look for an accident attorney near me at the Bernard Law Group and get the help you need. IF YOU, OR A LOVED ONE, HAVE BEEN SERIOUSLY INJURED IN A MOTORCYCLE ACCIDENT – CALL TODAY FOR A FREE CONSULTATION!